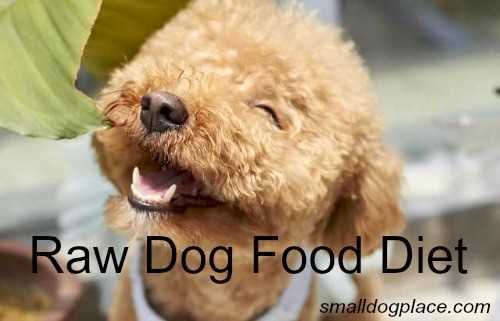 Is a Raw Dog Food Diet a Good Choice for Your Small Dog? Do you worry about your dog’s diet? Are you tired of wondering what ingredients are in your small breed’s food? Does your dog have allergy or stomach issues? If you answered yes to any of these questions, a raw diet for your small breed may be the answer. A “raw” dog food diet is a wholesome, homemade dog food option. This way you know EXACTLY what your dog is eating. Taking control of my dog’s diet was an empowering and wonderful way to show my pet just how much I love him. In my opinion, the worst part about store bought dog food is its misleading labels. Any brand of dog food is going to do their best to advertise their product to make it seem like it is good for your dog. You can read the ingredients list on the back of the bag. In most brands, you will see fillers, preservatives, and many chemical ingredients you cannot even pronounce! Here are a few examples of some of the harmful ingredients present in many name-brand dog foods. A filler is a product used by dog food manufacturers to bulk up the food, making it cheaper to produce. Sometimes, these ingredients have little to no nutritional value and are known to cause allergies. 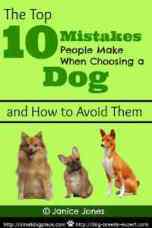 (Especially in small breeds) These include corn, soy, and wheat. From crushed bones to crude protein byproduct meal, these ingredients are meant to replace natural meat protein. Most commercial products are highly processed. The dog food production process destroys most of the food’s nutritional value. Many preservatives that have been proven to cause cancer and allergic reactions in dogs are still readily available in many dog foods. Yes, they prevent your dog’s food from spoiling quickly but at what cost?! Making your raw dog food is a great idea for obvious reasons. Let’s look into all the awesome pros to homemade dog food. When you make your small breed dog food at home, you can exactly control what your dog eats. 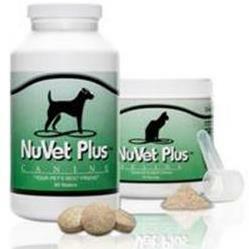 You are in charge of your dog’s dietary health and well-being. Rest easy knowing that you fed your well-loved fur baby the best nutrition possible. Does your small breed have an allergy problem? It will be much easier to pinpoint what triggers their food allergies when you make the food yourself. Once identified, all you have to do is remove the allergen from their diet! This recipe has been a big success with all of my dogs. It’s easy and nutrition packed! You can even eat this food if you felt so inclined. If you have a large freezer or a deep freezer, make a large amount of dog food all at once and freeze some for later. This saves lots of time. I usually cook a months’ worth of dog food and thaw two days worth at a time. Cook meat, eggs, and rice on medium heat until it is almost done and then add the vegetables. Once finished, chop food into a “kibble” like texture and freeze in meal size portions. 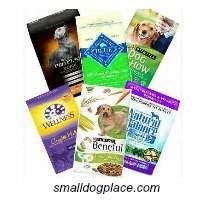 This is a better option for small breeds who do not mind taking their time while eating. This method is a bit quicker but can be messier. Mix all of the ingredients evenly in a large bowl. Create meal size portions rolled into meatballs. Bake the prepared meatballs in a 400-degree oven for about 45 minutes or until completely cooked. This method is a little better for dogs who tend to eat too fast. The meatballs take more time to dismember and chew. 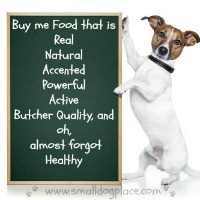 It is easy to see why a raw diet can be the best move for your small breed’s nutritional health. Real protein and real vitamin-rich ingredients. It doesn’t get any better than that! I hope you found this article helpful. Happy cooking! Hi, I’m Anna Sakila, and I love to give my friends the best of everything. I started my blog so I can also share my experiences with you. 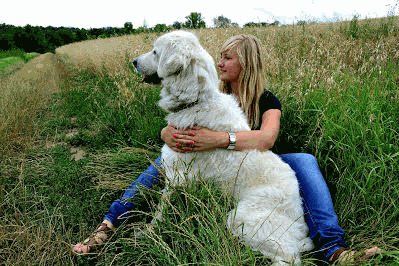 Take a tour through my site to see helpful stories and useful information on the best ways to care for your lovely dog. Or Follow me on Twitter.